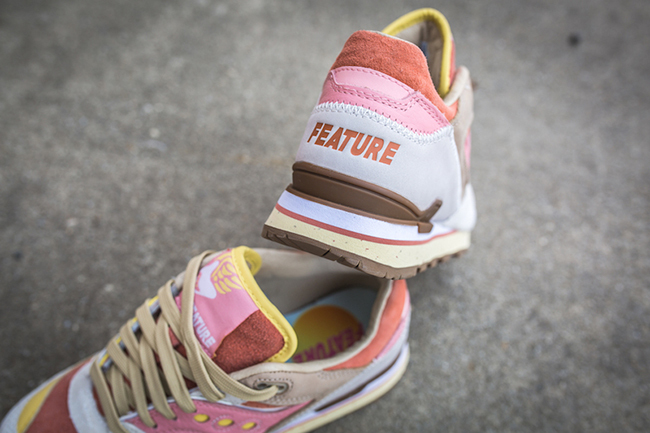 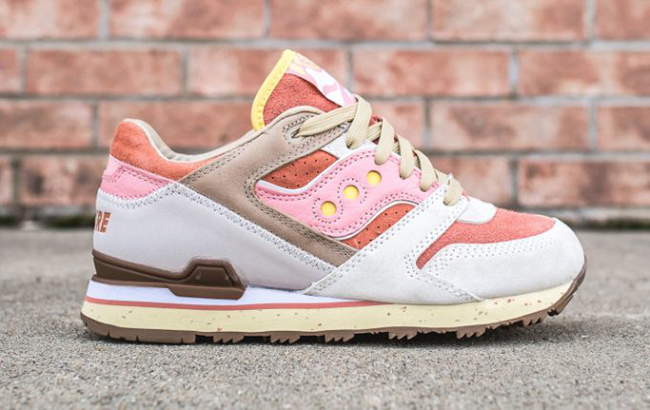 Feature is teaming up with Saucony for another collaboration. 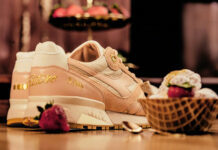 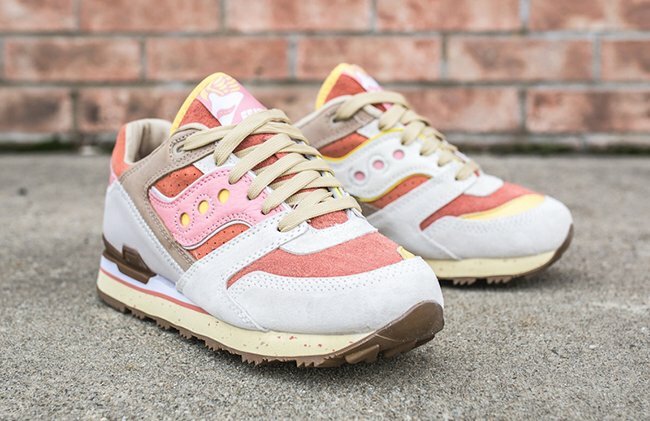 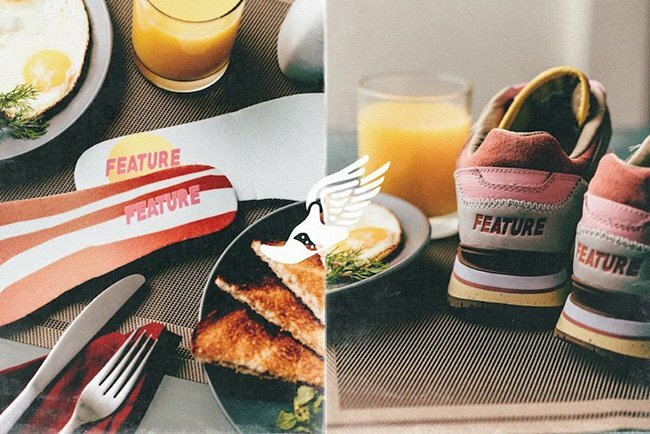 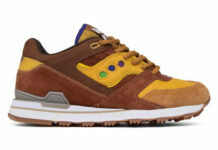 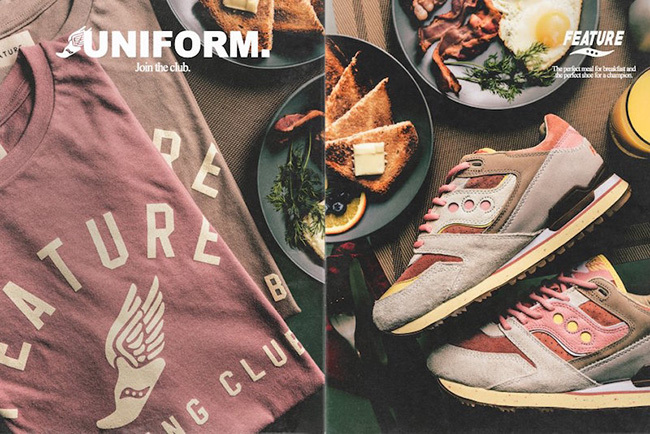 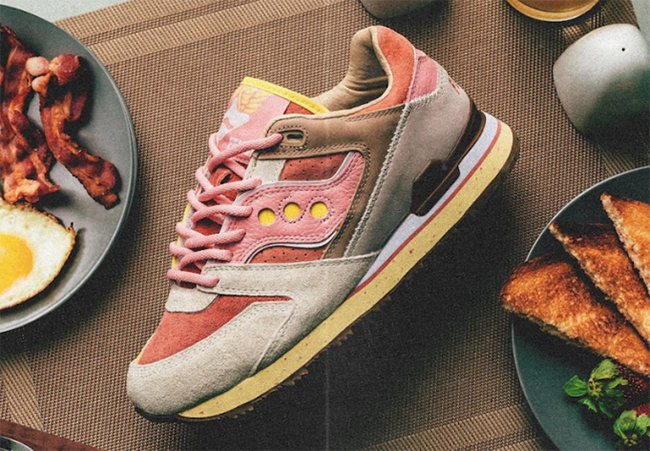 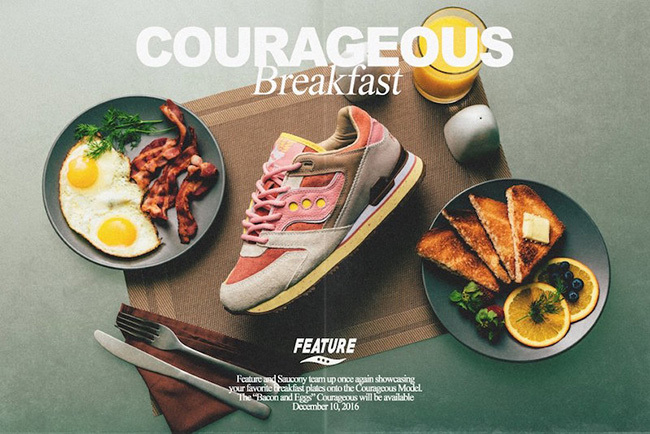 Inspired by the breakfast dish, we have the Feature x Saucony Courageous ‘Bacon & Eggs’ collaboration. 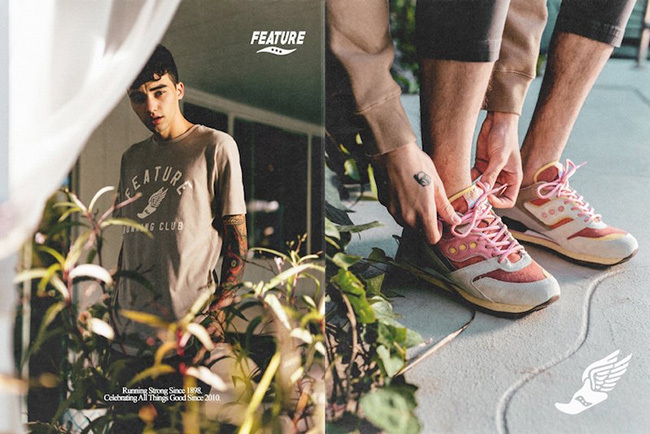 The Saucony Courageous features satin and washed suede uppers along with nubuck panels done in Off-White and Pink details. 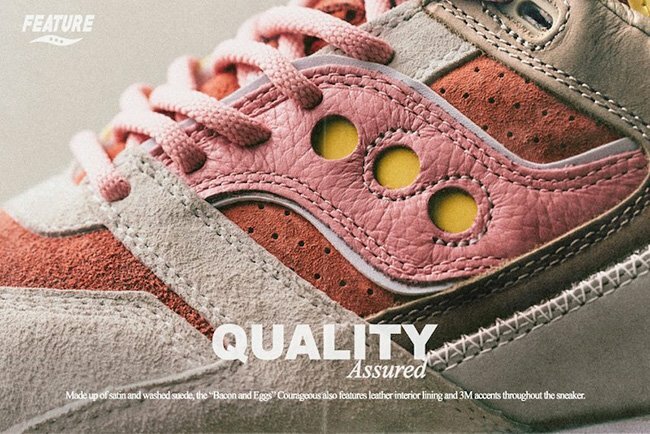 Saucony’s ’S’ logo features a Pink leather, while the medial side sees Off-White leather paired with Pink 3M dots for a contrasting touch. 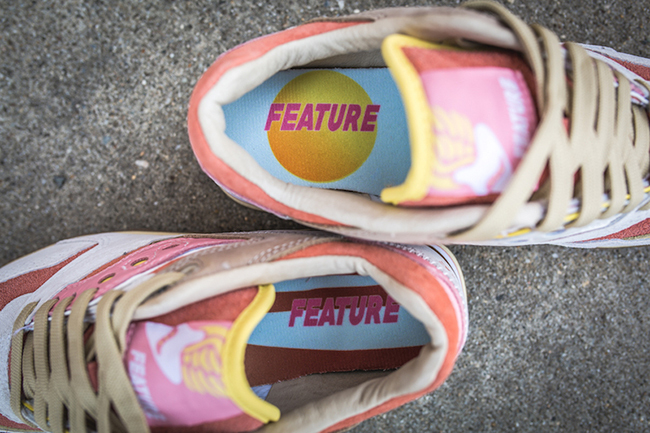 Feature branding is placed along the TPU heel counter, as well as on the custom woven tongue label and atop the bacon & egg graphic insoles. 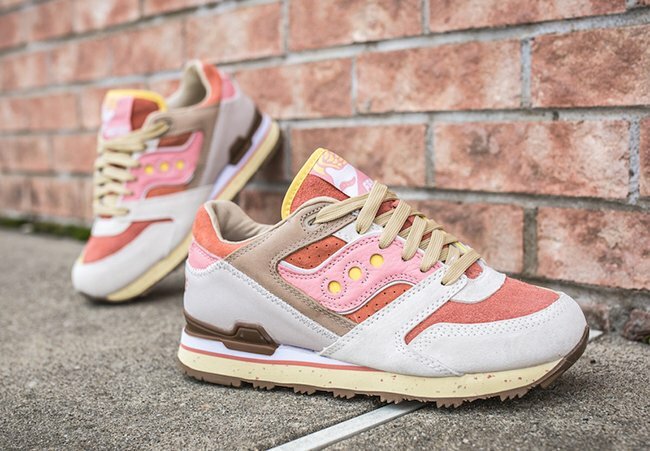 Other details include a reflective tongue trim and heel tab, intricate overstitching on the rear panel, and a speckled midsole. 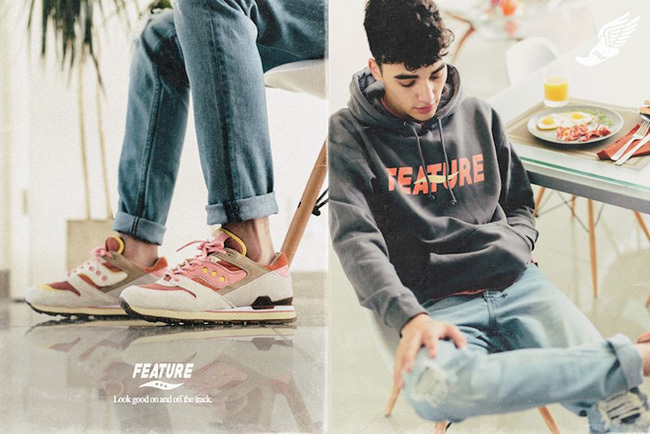 Matching the shoes, Feature has designed t-shirts and hoodies. 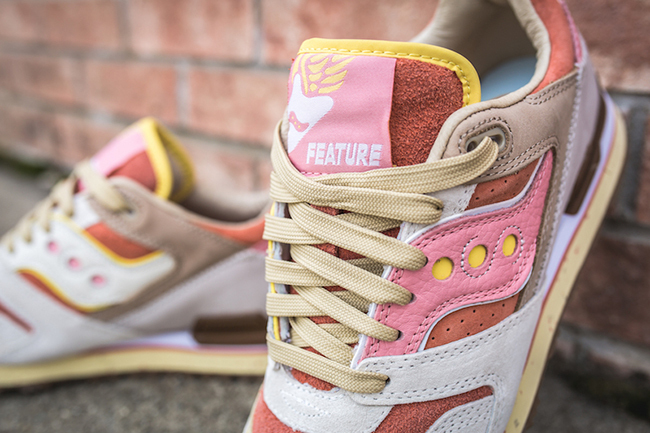 The Feature x Saucony Courageous Bacon & Eggs will release on December 10th, 2016. 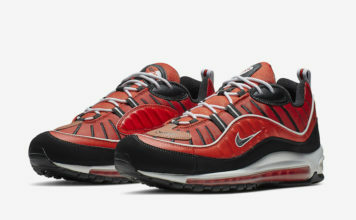 They will be available at 10AM PST online and in-store at 11AM PST. 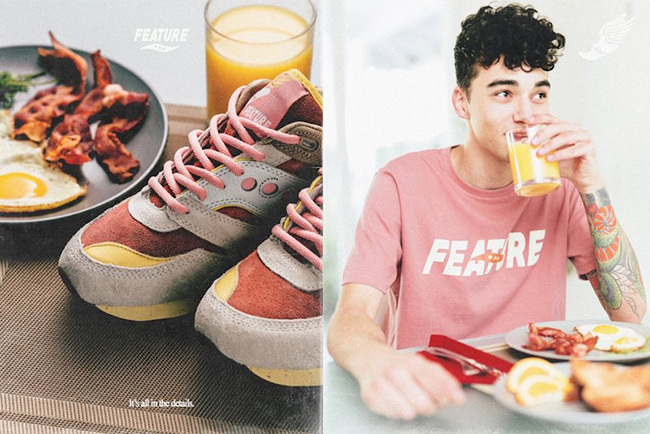 Update: Although released at Feature, additional retailers are now releasing the Saucony Courageous Bacon & Eggs like Packer Shoes.